The well-known church historian, Winthrop Hudson, ended his 1961 book, American Protestantism, by looking to Lutheranism as the source of American Protestant renewal. He wrote: “The final prospect for a vigorous renewal of Protestant life and witness rests with the Lutheran churches…. Among the assets immediately at hand among the Lutherans are a confessional tradition, a surviving liturgical structure, and a sense of community.” In the generation or two since Hudson wrote those words, we wonder if the Lutheran patrimony has been worn away by successive waves of therapeutic religion, liberationist crusades, multiculturalist ideology, inclusivity quotas, radical post-Christian feminism, new age spirituality, entertainment evangelism, lowest common denominator ecumenism, pantheistic eco-mysticism, and a plethora of other politically correct concerns. Where would one search for even a vigorous dialogue with, much less a challenge to, these cultural forces from the standpoint of the confessional tradition? The seminaries? The teaching role of bishops? The educational materials produced by the Church’s publishing house? The perceived absence of an institutional defense against these challenges, and the steady assault on doctrinal, liturgical, and moral traditions, have generated confessional movements within all the mainline American Protestant traditions today. One of the largest is the Confessing Christ movement within the United Church of Christ. As an illustration of one of these movements, we have asked Dr. W. Richard Stegner, retired New Testament professor at Garrett-Evangelical Theological Seminary in Evanston, a United Methodist minister, and a regular worshiper at Immanuel Lutheran Church in Evanston, to write about the Good News Society in the United Methodist Church. 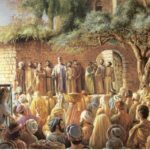 Since some of the very basics of the Christian tradition are being challenged today, there can be a theological alliance among these various confessing movements. The Center for Catholic and Evangelical Theology in Northfield, Minnesota, Carl E. Braaten, director, Robert W. Jenson, associate director, has successfully held conferences and published the journal Pro Ecclesia which brings together Lutheran, Roman Catholic, Eastern Orthodox, Anglican, and Protestant speakers, participants, and writers around common doctrinal concerns. Since the Center is ecumenical, it cannot be regarded as being a part of the Lutheran confessional renewal movement, in spite of the well-known Lutheran credentials of its directors. Within American Lutheranism there has not been one single confessional movement, but several. Perhaps their roots can be traced to the Free Theological “Call to Faithfulness” Conferences held at St. Olaf College in 1990 and 1992. These two conferences, which drew approximately 900 and 800 participants respectively, were co-sponsored by three independent Lutheran theological journals: dialog, Lutheran Forum, and Lutheran Quarterly. They were really inter-Lutheran events, since the three sponsoring journals are inter-Lutheran, and they brought together various kinds of confessional Lutherans. At the second St. Olaf Conference in 1992 George Lindbeck identified and distinguished between “denominational Lutherans” and “evangelical catholics,” raising questions about incompatible goals of these two groups. While some people found these differentiations to be caricatures, they nevertheless have proven useful in identifying different kinds of Lutheran confessional movements. The Fellowship of Confessional Lutherans (F.O.C.L. ), for example, represents a denominational or radical Lutheran movement which aims to strengthen Lutheran identity but requires the old anti-Catholic polemics to do so, only now focused on creeping Catholicism within Lutheranism such as the issue of the historic episcopate. This also means that F.O.C.L. has a political agenda within the ELCA. The Society of the Holy Trinity (S.T.S. = Societas Trinitatis Sanctae), on the other hand, aims to strengthen Lutheran pastoral ministry from an evangelical catholic perspective and sees reconciliation with Rome as Lutheranism’s ecumenical destiny. S.T.S. has no political agenda within the ELCA since it is intentionally inter-Lutheran and international. The Society fosters the personal renewal of and support for pastors, and functions like a religious order with its Rule, leadership structure, and retreats. A document which had some potential to bring together radical Lutherans and evangelical catholics is the 9.5 Theses, which seeks to address the “crisis of faith” in the ELCA. Although the Theses were subscribed to by more than 700 pastors and 300 lay people, the document has not yet served as the basis for the widespread conversation that might enable its potential to be realized. The 9.5 Theses are a major focus of this issue of Let’s Talk. We have included the brief text of the Theses. Wayne Cowell has written to and received a response from one of the drafters of the Theses, Pastor Louis Smith of Virginia, in terms of the “reception” of the 9.5 Theses in the ELCA. Pastor Frank Senn has written a personal statement about his subscription to the Theses and his concomitant commitment to confessionalism and ecumenism. Against the examples of the 9.5 Theses, and the Athanasian Creed which serves as a kind of model for the Theses, Pastor John Seraphine has argued for a “fallibilist” confessionalism that exemplifies the humility of living by “grace alone.” In a different mode, Pastor Jane Kunzie-Brunner offers some “gut reactions and prayerful pleas” to modulate discourse about confessional renewal. 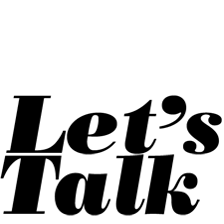 As our name implies, every issue of Let’s Talk is an attempt to get the people of our synod talking. The theme of this issue brings us particularly close to Lutheran pith and marrow, to things we need to talk about. We had hoped to include a broader range of opinion about our current confessional situation (e.g. is it intact? Is it eroding? Does confessionalism need to be transcended anyway?) But not everybody who was invited to respond to the question of the contemporary state of Lutheran confessionalism was willing or able to do so. We thank those who did. We are particularly sorry that top leaders of the ELCA were unable to accept our invitation to write. The invitation remains open and we remind all our readers that Let’s Talk encourages letters and even longer responses. Let the conversation begin! Are We So Right We Can’t Be Saved?